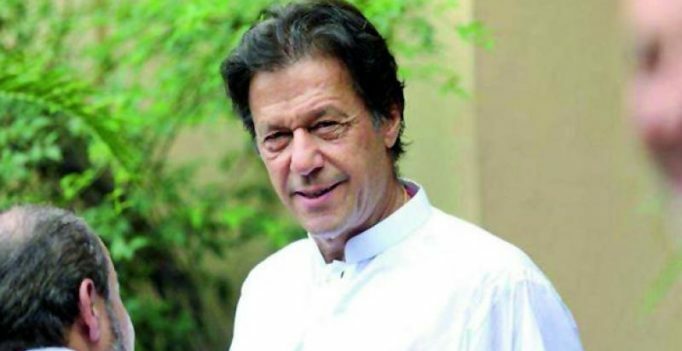 Islamabad: Pakistan Tehrik-e-Insaf (PTI) on Monday formally nominated party chief Imran Khan as its candidate for next Prime Minister. A parliamentary meeting was held here where Shah Mehmood Qureshi presented a resolution nominating Imran Khan as the party’s PM candidate. Addressing the participants, Imran Khan thanked the members for showing their trust in him. The change for which PTI has been struggling for 22 years will now be witnessed, he added. The newly-elected members of National Asse-mbly were also taken into confidence while discussion over the names of speaker and deputy speaker was also carried out. The meeting was attended by several politicians including Asad Umar, Pervez Khattak, Chau-dhry Sarwar and Shafqat Mahmood. PTI spokesman Fawad Chaudhry hoped that PTI will get support from Balochistan National Party (Mengal) and its total numbers in the National Assembly would reach one hundred. On July 25, millions of Pakistanis voted to elect a new government and prime minister in a peaceful election.